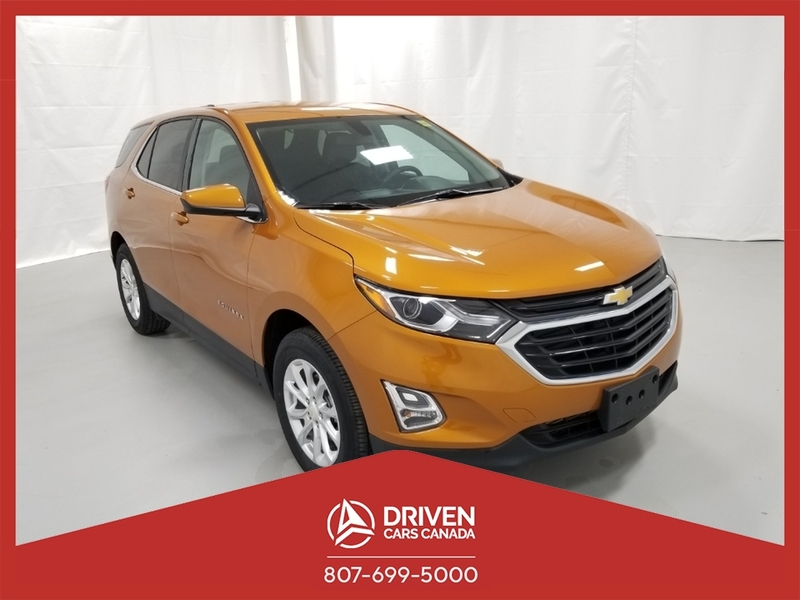 Our 2019 Chevrolet Equinox LT AWD is proudly presented in Orange Burst Metallic is the optimal blend of power, efficiency, and style! Powered by a TurboCharged 1.5 Litre 4 Cylinder that offers 170hp while connected to a responsive 6 Speed Automatic transmission for smooth shifts. This capable All Wheel Drive SUV is going to please you with its confident demeanor as it handles beautifully, while also rewarding your wallet with near 7.4L/100km on the highway. Our Equinox LT strikes a perfect balance of sporty sophistication with its sweeping silhouette. High-intensity discharge headlamps, deep tinted rear glass, and great-looking wheels emphasize the smart styling. The LT interior boasts ample cargo space, power windows/locks, push-button start, and keyless open. Staying safely connected is simple with our Chevrolet MyLink audio system with a colour touchscreen, a USB port, Bluetooth, available WiFi, and smartphone compatibility. Why purchase a used car from DRIVEN CARS CANADA: We make it easy, simple and painless. This 2019 Chevrolet Equinox LT AWD also comes with a 30 day/500km warranty covering any pre-existing repair.